EP 11: Overwhelmed by it All, The First Time I was Called a Feminist, P.S. #metoo — Sarah Schneider & Co. When there is a lot going on in the world and you have a big heart, it can all get really overwhelming. Where and what do you contribute? How do you share when it is hard to see where to even start? 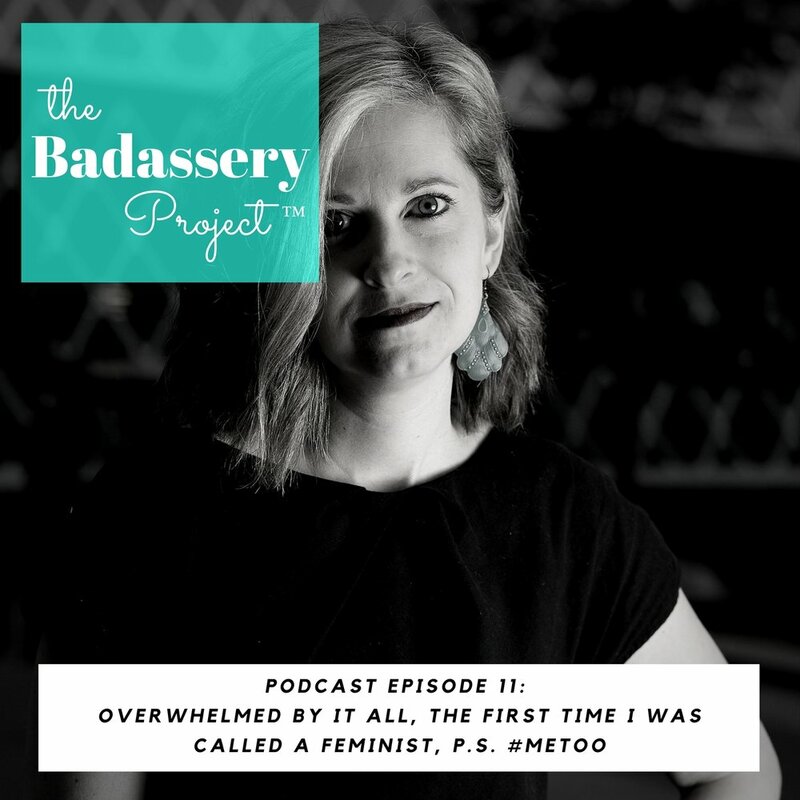 Sarah starts the conversation there in this episode and then shares her journey of owning herself as a feminist (when at first she rejected the title). The final piece of the episode is around #metoo, how personal it is, and how we can have conversations that change the culture. When you want to use your powers for good and it feels like there is so much work to do, it can feel overwhelming. Overwhelm can lead to stopping. Sometimes you have to go back to what your commitment is and the impact you want to have. Then step by step begin contributing again. Sarah goes back to the beginning when The Badassery Project™ began as a meet-up and shares the original intention of its creation. Where can we say what we need to say so that it does not fester inside of us. When Sarah was 22 her old sister called her a feminist. Sarah was horrified and adamant that she was no such thing. Then Sarah embarked on a journey of changing her perspective and learning what it meant to stand for equality. Sarah spent a long time denying even to herself that she had ever been harassed. Sarah shares part of her #metoo story. We as human beings have the opportunity to change the conversation and the culture of how women are treated. Adovacy and education will play a huge part.